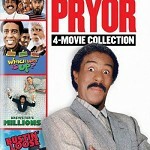 The laughs are non-stop in The Richard Pryor 4-Movie Collection, featuring Car Wash, Which Way Is Up?, Brewster's Millions, and Bustin' Loose! 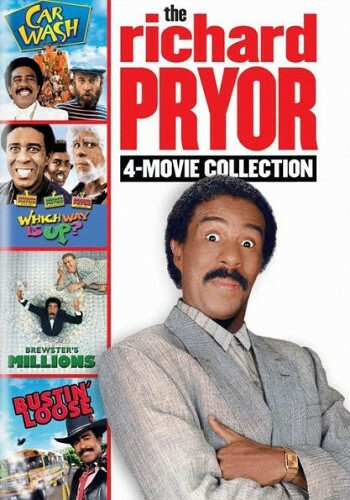 Widely considered one of the greatest comedians of all time, Richard Pryor stars in one side-splitting romp after another in these timeless classics that will have you rolling from beginning to end. Car Wash It's a typical day at a Los Angeles car wash featuring an assembly line of the weirdest, baddest, shadiest characters you've ever met... and lots of booty-bumping music! Which Way Is Up? It's a case of too many women and too little time as the lives and love lives of three men (all played by Richard Pryor) cross and crisscross! Brewster's Millions A baseball pitcher (Richard Pryor) discovers he has to blow $30 million in 30 days as a condition to inherit a much greater fortune with the help of his friend (John Candy). Bustin' Loose A desperate ex-con (Richard Pryor) is hired to drive a bus of special-ed students cross-country on an outrageous journey.